Homes for sale in Bolton Hill are located directly northwest of downtown Baltimore. Bolton Hill is home to roughly 2,000 residents comprised of all age groups, races, religions, ethnic backgrounds and lifestyles, making it one of the most diverse and accepting neighborhoods in Baltimore. It’s 19thcentury homes range from traditional row houses to elaborately decorated Queen Anne designs, from huge mansions to early brick cottages and, alley houses, to duplexes with small front yards to early 20th century apartment buildings and carriage houses. Deriving its name from “Bolton-le-Moors,” the English property after which the Baltimore merchant, George Grundy, named his original estate house (now the current site of the Fifth Regiment Armory), Bolton Hill was once home to prominent residents including writer F. Scott Fitzgerald, U.S. President Woodrow Wilson; Johns Hopkins first president Daniel Coit Gilman; department store owners Thomas O’Neill and David Hutzler; and philanthropist Jacob Epstein. You can find these homes by looking for the Distinctive Blue Plaques on the front of the homes where these individuals once resided. Only 1.5 miles from Baltimore’s Inner Harbor, and 2 miles from Camden Yards and Ravens Stadium, Bolton Hill is a community with quaint urban parks, historic fountains, and grand monuments, grocery stores, a florist, restaurants, hardware and drug stores, bed-and-breakfasts, and more. Considered part of Baltimore’s Cultural District, Bolton Hill is within walking distance of the Meyerhoff Symphony Hall, Lyric Opera House, University of Baltimore, Maryland Institute College of Art, and Theatre Project. Bolton Hill residents can meander over to America’s largest free 3-day arts festival, Artscape, which attracts more than 350,000 and features 150+ fine artists, fashion designers crafts people, visual art exhibits, food vendors and musicians. Neighboring Mt. Vernon, with the Enoch Pratt Free Library, Walters Art Museum, Peabody Conservatory, Antique Row, more shops, and restaurants is a ten minute walk away. Bolton Hill is conveniently located to i83 and public transportation includes the light rail Cultural Center stop on Howard Street, the State Center subway stop on Dolphin and City transit buses along the periphery of the neighborhood. Residents can also quickly hop a train with a 5 minute walk to Baltimore’s Penn Station, or catch a plane from Thurgood Marshall BWI with a 20 minute drive. Ready to check out all that homes for sale in Bolton Hill has to offer? If so, give me a call at 443-564-0952 or send me an email. I will be happy to create a free, no obligation automated home search for you that will deliver homes meeting your criteria directly to your email. Once you have identified the homes for sale in Bolton Hill that you want to see we can schedule a visit. Once in a lifetime opportunity to own a piece of Baltimore History. The Hutzler Mansion built in 1887 was once owned by the prestigious Baltimore department store family, Hutzler's. The home boasts 8,240 square feet of living space and 3246 below ground. The home is a grand example of the lavish Victorian design of the day. Sumptuous details include Stained Glass, Tile Floors, Ornate Woodwork, Opulent Mantels, Grand Staircases and a modern Elevator of the time. This is and was a home fit for a king! This beautiful home offers a savvy owner the opportunity to live in an over the top owners unit while enjoying supplemental income from three separate apartments. Keep the house configured as it is or reconfigure to make a larger owner's unit, or better yet return it to a single-family home. Currently this home has over 13 bedrooms and 7.5 Bathrooms. Located on the corner of Baltimore's Parisian style boulevard, Eutaw Place and Laurens St, the home sits grandly on the corner while backing up to Arnold Sumpter Park. Sumpter Park is a large public park with ample space for a Saturday Soccer game, time on the playground, a spot to walk the dogs or enjoy time on the playground. Designed by architect Thomas C. Kennedy for the original owner who was in the lumber business, each room showcases a distinct species of wood. Each formal room has a unique mantel, detailed parquet floors, wood wainscoting, stained glass, built-ins and much more. The backyard features a large private garden hidden behind beautiful brick wall. This is just another crown jewel of this property. This is a unique oasis in nestled in the city. This spacial and unique home has not been on the market since 1977. Currently zoned for 4 apartments. This is a strictly AS- IS sale. Two of the four apartments are currently occupied. 48 Hour Notice required for all showings. Restricted showing times. Owner financing entertained. Fully rented this home nets over $85k in income annually. Seller requests a financial statement from all prospective buyers in advance of confirming all showings. SHOWINGS ARE RESTRICTED TO M-F ONLY 10AM TO 4PM. PRICE IMPROVEMEN & SOON TO BE CHAP APPROVED !!!!! Note attached document labeling the 10 YEAR TAX CREDIT!! !Come check out this newly renovated Bolton Hill dream house. You will not only be the envy of all your friends because this home has SPA like bathrooms but this property is soon to be CHAP approved. Get all the bells and whistles for less!!! You will have 10 years of frozen lower property Taxes. Make your appointment today !! NEW PRICE $524,000! Hidden behind this historic facade is a beautiful contemporary townhouse in Bolton Hill. Open Floorplan, soaring ceilings, large open spaces with tons of light offering a flexible floorplan for the discerning buyer. Rear Deck and garden with space for parking if you need to add it. 4 Bedrooms, 3.5 Baths, Bright Chef's Kitchen with island and tons of storage. Bolton Hill is very convenient for commuters at Penn Station-MARC Train to DC, AMTRAK to Philly and NYC, Hopkins Shuttle to both campuses, Bolt Bus, Circulator Bus and 2 Light Rail Stops in the neighborhood to take you to BWI Airport. 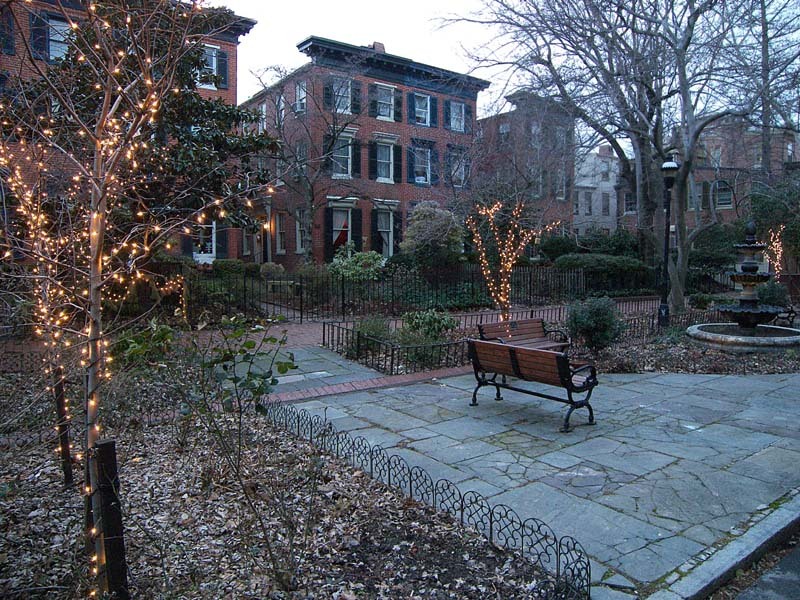 Enjoy this very special city neighborhood with tree-lined streets, neighborhood festivals, dinner parties and stoop sitting with your friends and neighbors. Steps to cafes, restaurants, shopping, places of worship, Bolton Hill Nursery School, Mt. Royal Elem & Middle, Midtown Academy and neighborhood parks. Pre-construction listing. There's still time to make many selections, including kitchen, flooring, and other design features. Floor Plan: First Floor - Living Room, Dining Room, Powder Room, Modern Eat-in Kitchen. Second Floor - Two BR, Two Full BA, Laundry Room. Third Floor - Two BR, Full BA, Storage Area. Basement - Fully Finished with In-Law Suite - One BR, Full BA, Second Eat-in Kitchen. Private Parking Pad in Rear. *Floor plans available upon request. Georgetown style townhouse in Historic Bolton Hill. This darling home is one of the oldest homes in Bolton Hill built circa 1850. Rarely found front yard to let loose your inner master gardener. Oozing with original details including beautiful wood floors, moldings, unique stained glass windows and mantels. Sweet little brick patio out back with space for intimate summer dinners with your fantastic neighbors. First floor has large entry hall, living room with wood burning fireplace and built-ins, dining room with gorgeous marble mantel and alcove, galley kitchen and powder room. Second floor has bedroom in the front with a wood burning fireplace and a large alcove room which could be a nursery, office, dressing room or a future en-suite bathroom. The rear of the second floor is the master suite with large walk-in closet, original mantel, en-suite spa master bath with double sinks, large soaking tub, separate shower and washer and dryer. Just beyond the master bath is an additional room which could be a dressing room, office, nursery or art studio. The third floor has one bedroom in the front with a large alcove room which could be a nursery, office, dressing room or future en-suite bathroom. The rear of the 3rd floor is currently used as a family room with a full bathroom. Originally it was a bedroom and could be easily converted to a bedroom again by the addition of one wall. There is also a large closet and an additional alcove space used as an office by the current owner with French door to the roof. Lots of potential to build a 3rd floor roof deck like the neighbors next door. The home has zoned central air conditioning, toasty radiator heat from a gas boiler on most levels with a heat pump which services part of the 2nd and 3rd floors along with baseboard heat in the rear second floor bedroom. Dry basement is good for a workshop or storage.Bolton Hill is a beautiful tree-lined neighborhood in the heart of Baltimore. Conveniently located near Penn Station for MARC Train DC Commuters, AMTRAK to Philly and NYC, Bolt Bus, 2 Light Rail Stops to BWI Airport, Hopkins Shuttle to both campuses, subway and I-83 to take you north or south. Close to area universities including MICA, U of Baltimore, Hopkins and Peabody. What do people like about Bolton Hill? Neighbors, community, soup nights, new neighbors party, Bolton Hill Improvement Association, Midtown Special Benefits District, Bolton Hill Swim & Tennis Club, Bolton Hill Nursery School, Mt. Royal Elementary, Midtown Academy, locally owned Pharmacy & Hardware Store, Cafes & Restaurants. Treat yourself to this sleek 3 bedroom 2.5 bath contemporary townhouse, in the heart of historic Bolton Hill. Living room with fireplace, hardwood floors and dual pane replacement windows throughout. Nicely updated kitchen and baths. Meticulously maintained. Flexible floor plan offers many alternatives. Beautifully landscaped, enclosed rear and front courtyards. Parking. Minutes to the light rail, Penn Station, MICA, and so much more!!! An Urban Gem awaits you here. ***PRICED TO SELL***Charming Bolton Hill contemporary townhouse in a tucked away gated community, Master Bedroom Suite. + 2bdr and 4 Baths, New Carpet and Hardwood Flooring. SS appliances, Granite Counters, Finished LL Family Room, w/2 car off street parking. Beautiful light-filled Bolton Hill townhome featuring four bedrooms, two and a half bathrooms and garage parking. Channel your inner chef in the spacious eat-in kitchen featuring butcher's block countertops, an island, and storage pantry. Relax in the Living Room by the gas fireplace with a beautifully updated surround and mantle. Enjoy entertaining on the oversized deck located off the kitchen. Three bedrooms are located on the upper level and the fourth bedroom is located on the lower entry level making it perfect for an office or guest room. Savor life in popular Bolton Hill, walking distance to MICA, the MARC train, and only a short drive to the downtown business district and attractions.